Diversification into supplying new areas of retail is paying dividends for a Loughborough based manufacturer after it announced a 24% increase in sales. 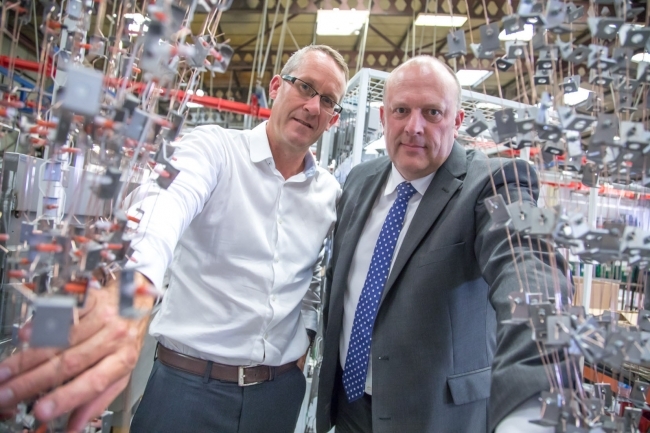 JC Metalworks, which employs almost 100 people, has secured a string of new contracts to supply precision metal parts for point of sale and products being used by high street brands, restaurants and clients involved in the automotive, retail and Heating Ventilation and Air Conditioning (HVAC) sectors. Backed by expert support from the Manufacturing Growth Programme (MGP), the company has completed a strategic business review that identified the need for a more cohesive approach, a programme of upskilling across the workforce and the implementation of new lean manufacturing processes. Nick Oakland, Managing Director, commented: “There’s a lot of opportunities in retail POS and we are now pro-actively targeting those with very good effect. He went on to add: “It’s all about building relationships and ensuring customers know our full range of expertise and how we can support them going forward. We are now up to £6.7m annual sales and want to increase this year-on-year between now and 2020. Nick continued: “MGP was really easy to access and it has introduced us to some very good people. It has also opened our eyes to the other support that is out there and we are already embarking on some additional initiatives to support the development of our website and branding. James Bosworth, Manufacturing Growth Manager at MGP, agreed: “We are here to help manufacturers unlock their potential by getting under their skin and finding out what the issues or barriers to growth are.